E-cigarette opponents keep saying that electronic cigarettes act as a gateway to smoking for teenagers, but according to a recent Welsh study very few teens who try e-cigarette users become regular users, and the few who do most likely smoked conventional cigarettes first. The researcher’s findings are based on the results of two nationally representative surveys of primary and secondary schoolchildren from 150 schools in Wales, carried out in 2013 and 2014. A total of 10,656 students (1,601 aged 10 to 11 and 9,055 11- to 16-year-olds) were quizzed about their experience with electronic cigarettes. The number of students who had tried e-cigarettes at least once was higher than that of teens who had smoked a conventional cigarette, among all age groups, except the oldest (15-16 year olds). Around 5.8% of 10-11 year olds reported having tried electronic cigarettes at least once, with the percentage going up to 12.3% among teens aged 11-16. The proportion of students who had used e-cigarettes, but who had never smoked, rose from 5.3% among 10-11 year olds, to 8% among 15-16 year olds. However, only 1.5% of those aged 11-16 reported regular use of electronic cigarettes – defined as at least once per month – including the 0.3% of those who said they had never smoked tobacco cigarettes. Furthermore, collected data showed the odds of regular e-cigarette use was 100 times higher among current smokers and 50 times higher among those who smoked cannabis. 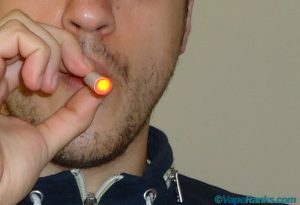 Based on these results, the Welsh researchers concluded that “e-cigarettes are unlikely to make a major direct contribution to adolescent nicotine addiction at present”, also pointing out that the World Health Organization has recognized that there is currently little evidence to support the theory that electronic cigarettes act as a gateway to smoking. Their conclusion directly contradicts the results of a contested 2014 study by the US Center for Disease Control and Prevention (CDC) which found that e-cigarettes were likely to cause nicotine addiction in teenagers and eventually lead them to tobacco smoking. Interestingly, this recent Welsh study is one of several independent studies and surveys to have concluded that electronic cigarettes do not act as a gateway to smoking for youths. In September 2014, UK anti-smoking charity Action on Smoking and Health (ASH) published a study that showed 90% of teens questioned had never tried e-cigarettes and “had no intention” of doing so. 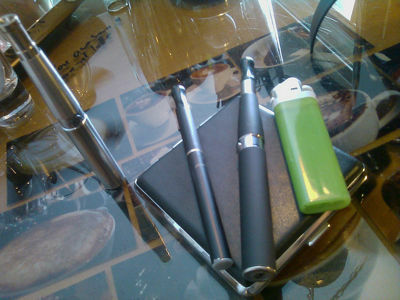 In November of last year, a report from the UK’s Office for National Statistics (ONS) indicated that the majority of e-cig users were almost entirely former or current smokers, while in December 2014, a scientific paper recently published in the American Journal of Preventive Medicine showed e-cigarettes were not a gateway to smoking for teens. Finally, in January 2015, a study published in the Nicotine & Tobacco Research journal reported that non-smoking youths show very little interest in electronic cigarettes, even when presented with enticing flavors.